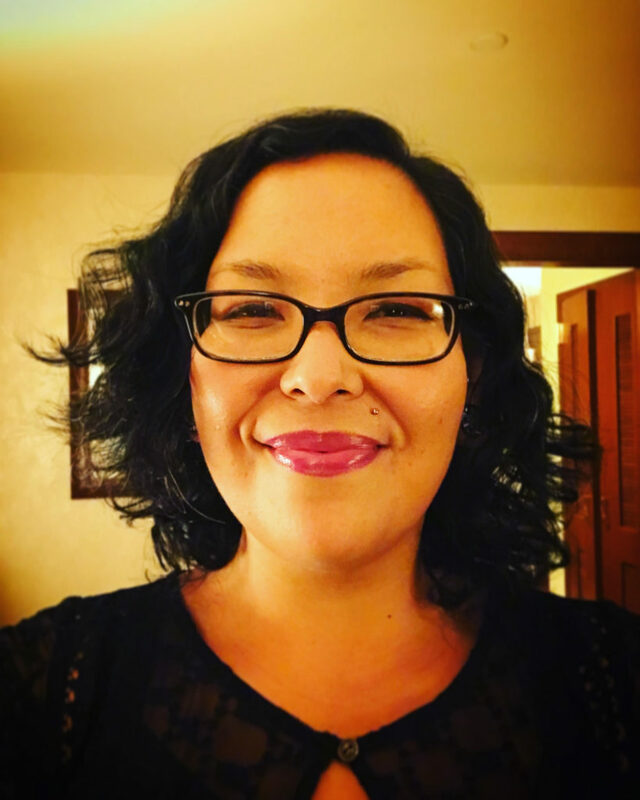 Over the next few weeks, Lauren Jimerson (Seneca Nation, Heron Clan), will take over our Instagram account. Guest Instagrammer Lauren Jimerson @laurenajay Our ancestors stored corn by braiding the husks together, ultimately creating a long french braid. We continue this tradition today. The braid on the left has corn on it while the rest of the braids are what is left after the ears of corn have been picked off and used. Lauren: I am a member of the Seneca Nation and grew up on the Cattaraugus Indian Reservation (“the Rez”), which is located south of Buffalo, NY. I am a fine artist and art therapist, and I utilize my passion for cooking and nutrition as the interim project manager for the Iroquois White Corn Project at Ganondagan. I have spent the last 18 years in Rochester, NY raising my children, acclimating to my ancestral lands and making art. CK: Can you tell us more about your experience growing up on the Rez and how you came to Ganondagan? Lauren: I moved to Ganondagan, which is two hours away from my Rez, when I was 16. My then daughter, Angel, was 4 months old, and we came to Ganondagan to participate in a trial Seneca language program. The program didn’t take off like we had hoped, but Angel and I found a different life here. My son Kalen soon joined us. Growing up on the Rez, I learned about the importance of family and community. People will often times focus on the negative aspects of the Rez, such as high poverty and substance abuse rates, but I like to reflect on how I was immersed in Onöndawa’ga’ and Haudenosaunee culture and values. I learned about white corn from my grandfather and how to cook for the family from my grandmother. I was also raised in a culture that considers the women to be pillars of strength, a concept that I didn’t realize was so ingrained in me until I recently did an interview about feminism. We also value our youth and elders as equally important, as the elders are wisdom keepers and the youth govern the future. CK: What drives your work as the Interim Project Manager for the Iroquois White Corn Project? Lauren: First and foremost, I am carrying on the spirit of the white corn. The white corn was once in danger: half a million bushels of corn were torched by occupants of New France (present day Canada) at Ganondagan in 1687, in efforts to monopolize the fur trade and conquer the Seneca people. We have survived just as the has corn survived. As project manager, I also process the corn, develop recipes and work with our youth group so that they can gain job skills. The youth group includes Native and non-Native youth who are building their own little community and work at our events. We also came up with ideas to aid in supporting the water protectors at Standing Rock in North Dakota. We sent 26 pounds of processed corn to help feed the people protecting that water. CK: Tell us more about your work creating vegan adaptations of Haudenosaunee foods. Lauren: My interest in transitioning Haudenosaunee recipes to vegan versions is rooted in my studies of historical trauma. My belief is that by eating in a compassionate manner, I can connect to the ways of my ancestors who gave thanks to Mother Earth and the animals for our sustenance. I think that connecting to my Onöndawa’ga’ (Seneca) ancestors’ way of life is, in a sense, “returning to the roots.” The roots symbolize the place where our people were, mentally and emotionally, prior to being displaced through American government policies, such as boarding schools and being put on Indian reservations. By doing this, I am reclaiming my identity.